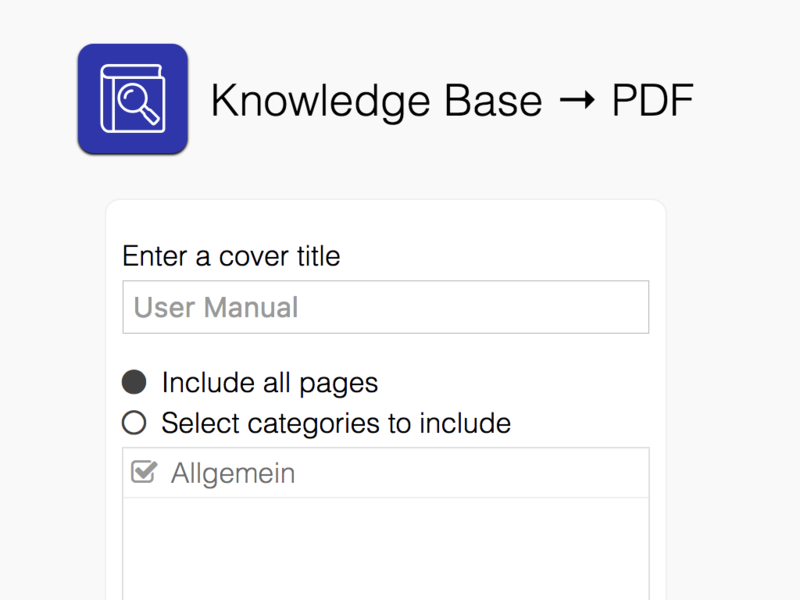 The Knowledge Base to PDF app enables you to export parts of, or your whole knowledge base as a PDF. 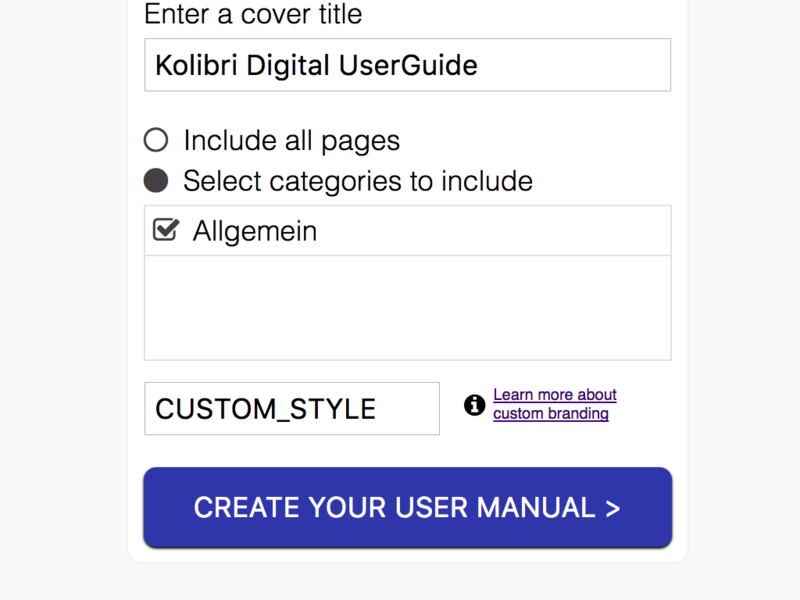 Set a cover title, choose which articles or categories to include, generate your PDF, and you're ready to distribute your user manual to your favorite customers. Want your PDFs to be completely custom branded to fit your brand? Don't hesitate to reach out to us at support@kolibridigital.com. 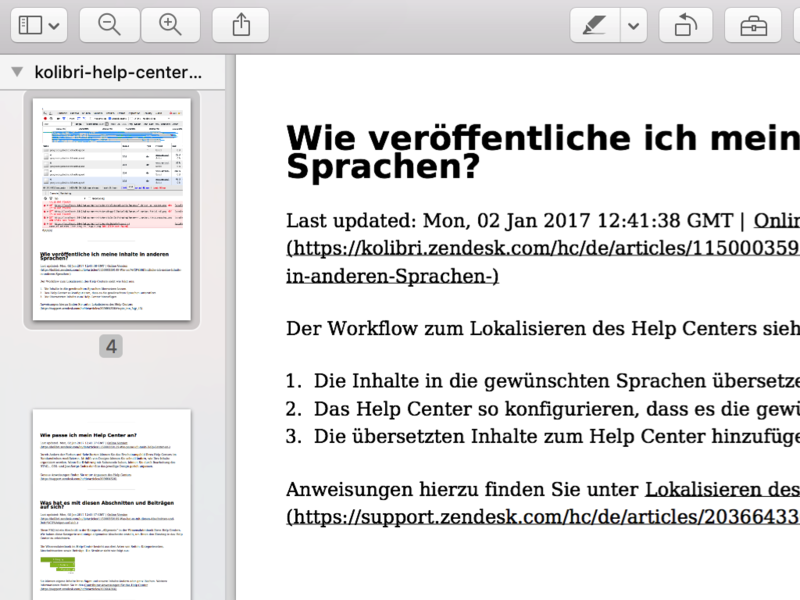 It only takes 5 minutes to install and export your knowledge base content as PDF.